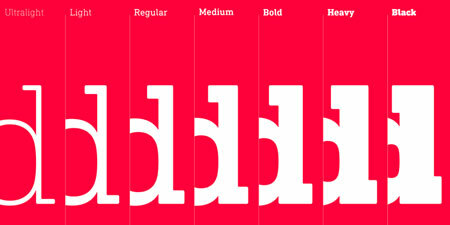 Some of my older designer friends seem to think that the era of good type is over. I couldn’t agree more. 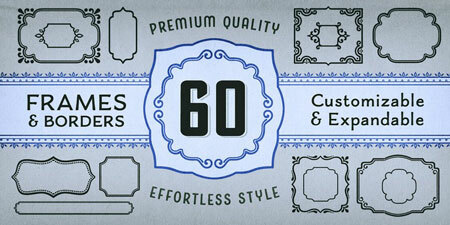 Of course, legendary fonts were made in the past, but that doesn’t mean typographers stopped producing great fonts. 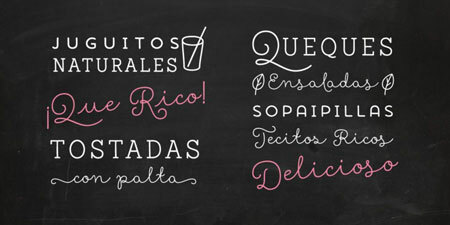 In this post you’ll find a selection of my favorite fonts of 2014. I may have missed some great ones, but you’ll probably enjoy these. 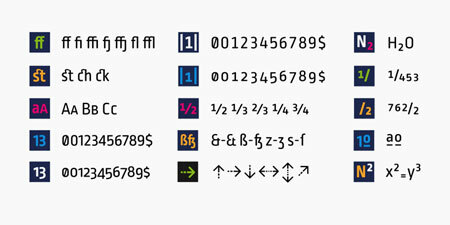 DIN Next Slab is a serifed version of the hugely popular DIN typeface. DIN stands for Deutsches Institut für Normung (in English, the German Institute for Standardization), so it’s probably the most German typeface you can download. 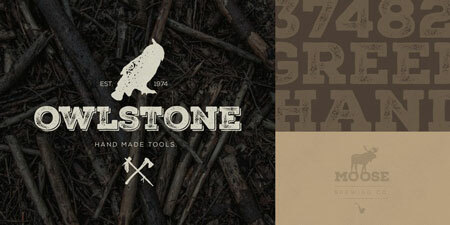 Upon release, DIN Next Slab became one of the best slab serif fonts you can purchase. 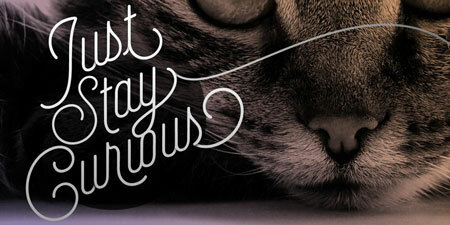 Released in 2014 by FontFabric, Glober grotesque is a very versatile sans-serif font family that comes with 18 weights. It has a geometric design and great legibility, but one of the best features might be how well its web font renders. 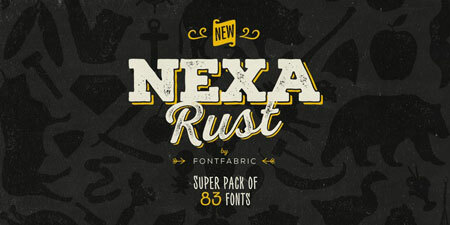 Nexa Rust is much more than a font or even a typeface, it’s a type system. 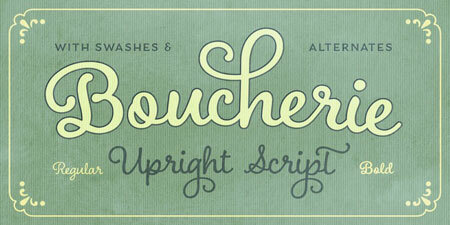 A collection of 83 fonts with sub-families Sans, Slab, Script, Handmade and Extras. 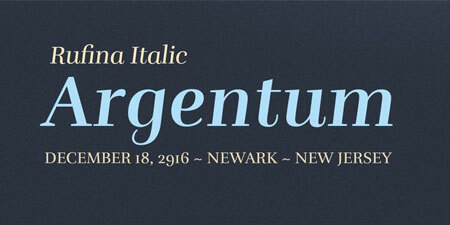 An elegant serif font with alternates to adapt its use to the type of text you are setting. 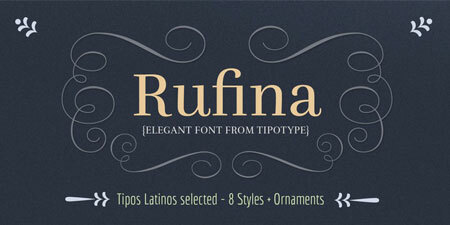 Rufina comes with great ligatures and open-type features. 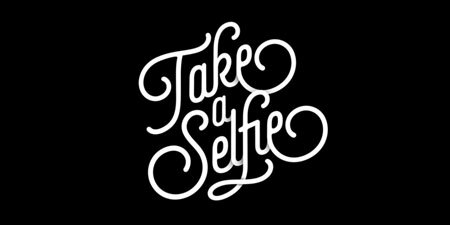 Selfie is a gorgeous script font that comes with tons of awesome decorative ligatures. 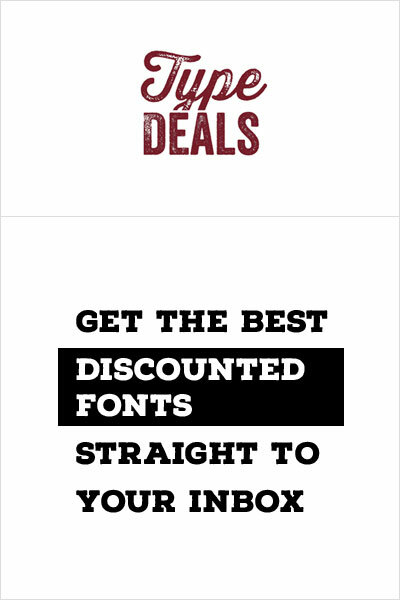 In 2014, layered fonts have gained huge popularity. 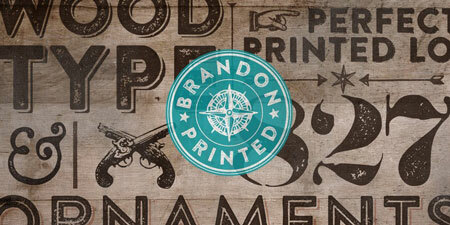 Brandon Printed was one of the most successful. 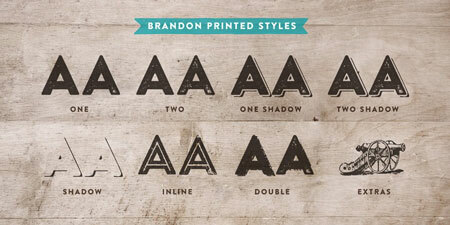 It is inspired by Brandon Grotesque and comes with a grungy effect, shadows, and outlines that make it a stunning typeface. 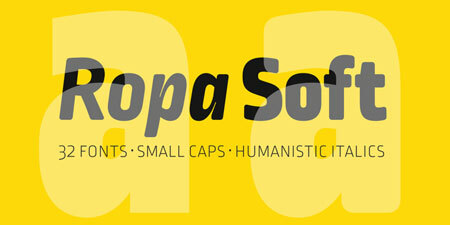 Ropa Soft Pro is a stable and friendly-looking sans serif font family with 32 fonts. It is ready for small caps and features humanistic italics. 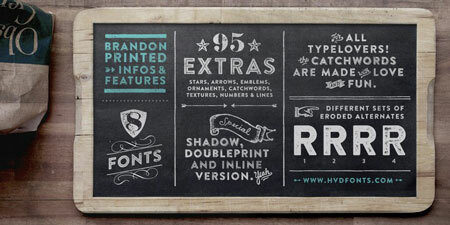 It is manually hinted and optimized for screens, hence it has an excellent web-font, eBooks or Apps performance. 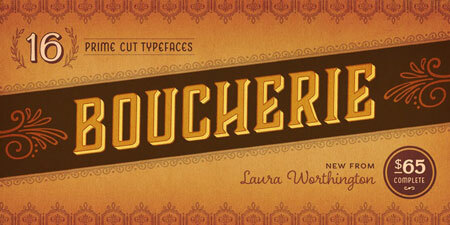 Boucherie captures the lively essence of 19th-century French advertising typography with a collection of original designs, rather than strict historical revivals. 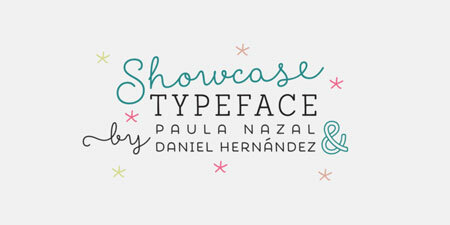 Showcase, the new typeface of Daniel Hernandez and Paula Nazal is a handmade font consisting of a set of types that are composed of four styles, one script, one sans, a slab, sans mini and finally a set of ornaments and dingbats, all made to work together in the same language. 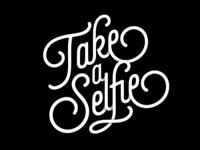 The Carpenter is an elegant and versatile connected script family of three weights. 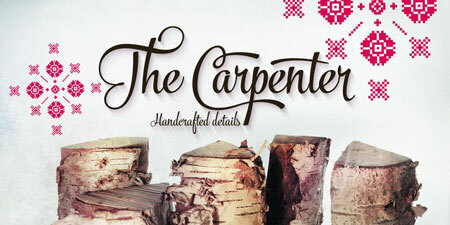 The Carpenter also has a set of ornaments, patterns and pictograms designed to support the script font. 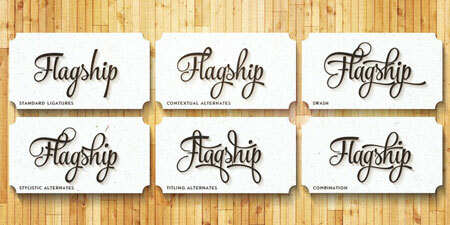 The Carpenter has plenty of OpenType features.